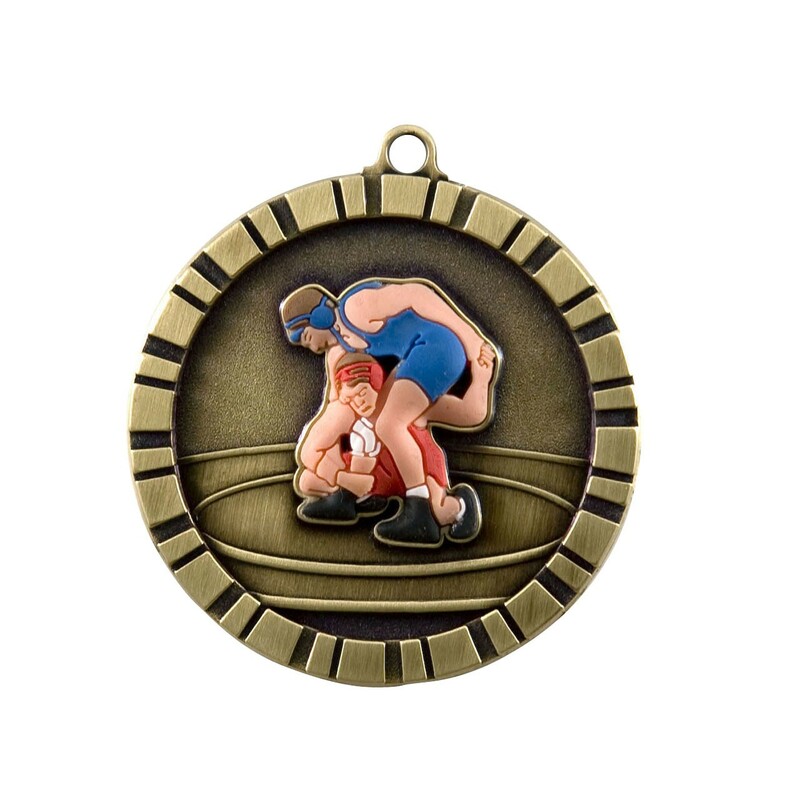 Every wrestler on your team deserves one of our 3-D Gold Wrestling Medals! Measuring 2 inches in diameter, these golden medals feature two 3-dimensional full color wrestlers in action. Your customized engraving, which is included in the price, goes on the back of the medals. 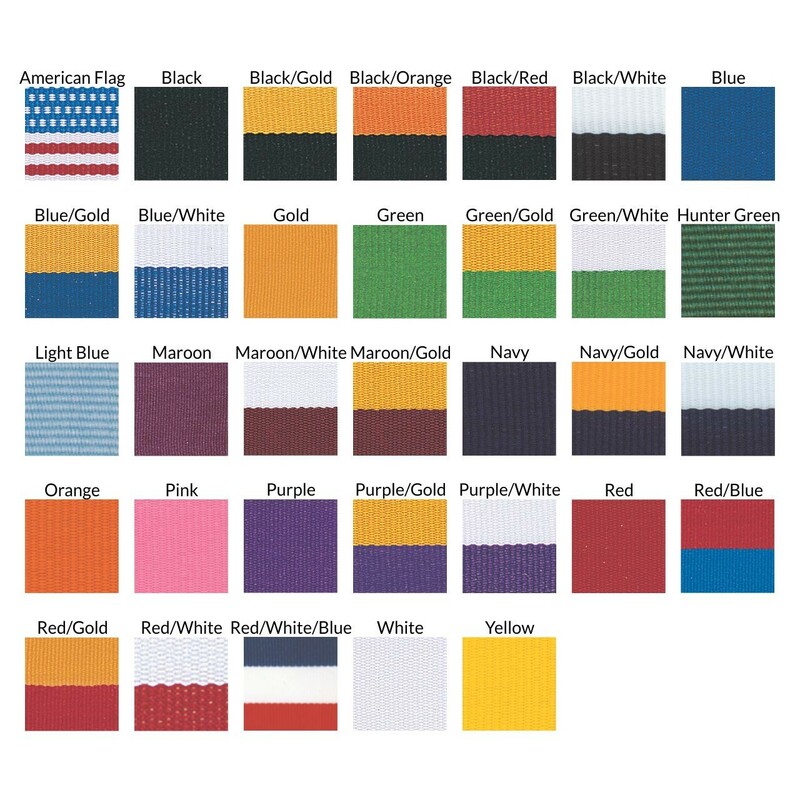 Medals also include your choice of neckdrape color. Award excellence on your team with these fun medals!